Angela Dorothea Merkel is the first woman to be the Chancellor of Germany and the Leader of the Christian Democratic Union (CDU). A German politician and former research scientist, Merkel is aptly portrayed the de facto leader of the European Union. A dynamic personality, Merkel has been ranked in the world’s most powerful person list by Forbes magazine for the ninth time. 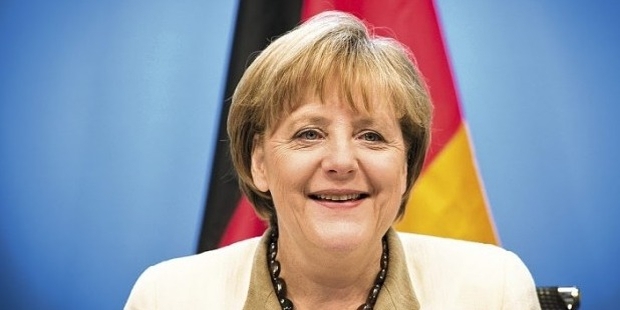 Presently, the Senior G7 leader, Merkel is the longest incumbent head of Government in the European Union. 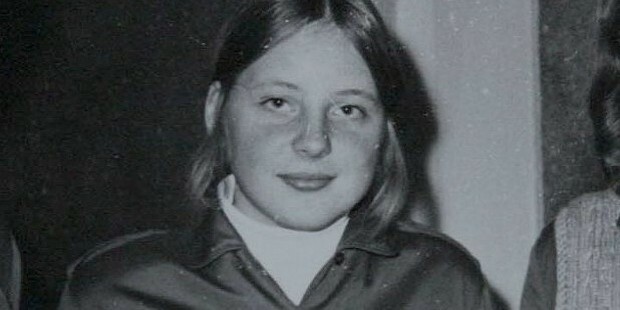 Born on 17 July 1954, in Hamburg, West Germany, to Horst Kasner and Herlind, Merkel was Angela Dorothea Kasner. Her mother was also a member of the Social Democratic Party of Germany. Merkel has been a member of the Free German Youth (FDJ), a voluntary organisation. 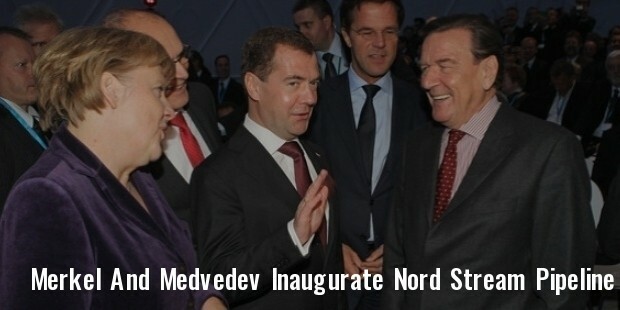 Merkel mastered the Russian language while in school. She has studied Physics in Templin at the University of Leipzig. She has studied as well as worked at the Central Institute for Physical Chemistry of the Academy of Sciences in Berlin-Adlershof. Merkel has done her PhD in Quantum Chemistry. Always the leader, Merkel was selected as member of the FDJ District Board and the Secretary for the “Agitprop” at the Academy of Sciences. Merkel’s stint with politics started when she participated in the mounting democratic movement, following the fall of the Berlin Wall. She was the Deputy Spokesperson of the first democratically elected East German Government, and was later elected to the Bundestag for Stralsund-Nordvorpommern-Rügen in the Mecklenburg-Vorpommern State. Merkel has also occupied the chair of the Minister for Youth and Women. In fact, she was the first woman to be selected as the Minister for Environment and Nuclear Safety. 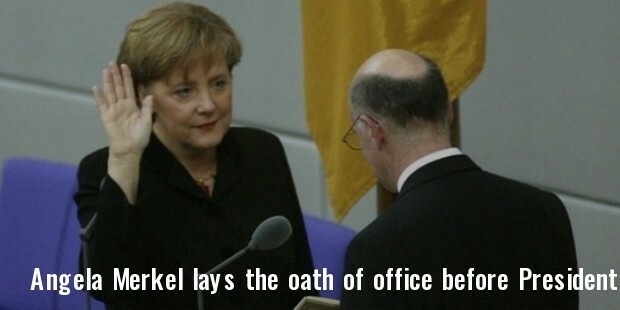 Merkel went on to become Germany’s first female Chancellor, after the 2005 Federal elections. Merkel has touched the skies, moving from achievement to achievement. She was the second woman to chair the G8, as President of the European Council. Merkel from occupying the position of Secretary-General of the CDU became the first woman leader of a German party in the year 2000. She gained fast popularity with the public. Merkel’s political career saw a new high, when she took over as the Chancellor of Germany in the year 2005. It has been a priority with Merkel to strengthen the transatlantic economic relations. She has been bestowed the great honour of being received at the airport, on her visit to Israel, by Prime Minister Ehud Olmert himself, an honour guard, several of the religious and political leaders and Israeli cabinet ministers. Merkel’s relationship with India was also worthy of mention. The Indian Government had presented the Jawaharlal Nehru Award for International Understanding (2009) to Merkel. Angela Kasner married Ulrich Merkel, a physics student in the year 1977, but five years down the line, the couple got divorced. 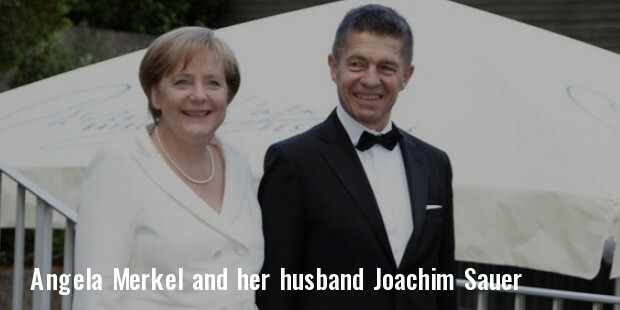 Presently, Merkel is married to Joachim Sauer, a quantum chemist and professor. While Angela and Joachim do not have children, Sauer has two sons from his previous marriage. 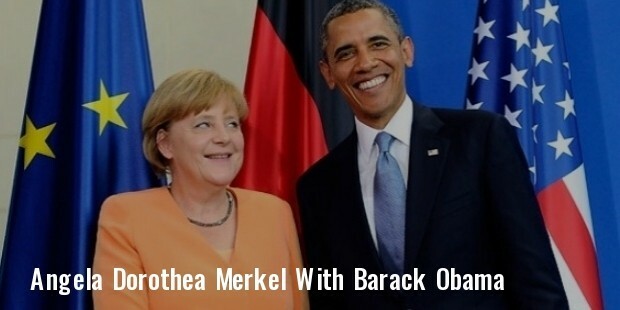 Merkel is an avid Football fan. She suffered a pelvic bone fracture during a cross-country skiing expedition in Switzerland in the year 2014. Angela Merkel has an impressive list of awards and honours to her credit. She has been awarded Grand Cross of the Order of Merit of the Federal Republic of Germany, Special Class, The President’s Medal (Israel) and the Presidential Medal of Freedom (United States), to mention a few. Among her other achievements, Merkel has been conferred the Heinz Galinski Award in Berlin (Germany) and Indira Gandhi Peace Prize (India), in the year 2012 and 2013 respectively. She has time and again made it in the Forbes magazine list of most powerful people. Merkel has an honorary doctorate from the Hebrew University of Jerusalem. More recently in the September month of 2015, she was accorded the title Doctor Honoris Causa by the University of Bern. It may be interesting to know that Angela Merkel has played the role of the protagonist in two plays of the European trilogy; Bruges, Antwerp and Tervuren.